Courchevel ski resort, a former small farming community, is now one of the world’s most luxurious mountain destinations. Created from scratch in 1946, a dash of grand hotels and luxury chalets, followed by a gentle sprinkling of boutique shops and Michelin star restaurants offer everything and anything for a luxurious skiing holiday. In between the Petrossian caviar and designer handbag shopping, the skiing’s not bad either. 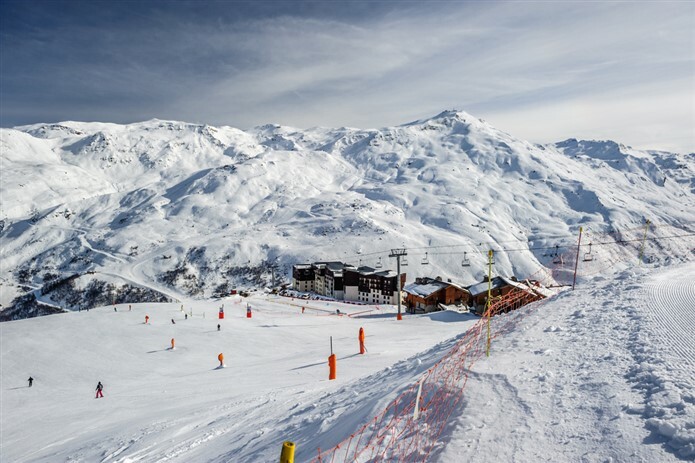 In Les Trois Vallées, at one end of the world’s best ski areas, the mountain resort features 600 kilometres of pistes, 170 ski lifts, a ski school for every grade of skier. Its north-facing slopes ensure the dumps are plentiful, with terrain to suit all tastes and skill levels. Thanks to this favourable geographical location, combined with the resort’s pioneering work in snow conditions, grooming and maintenance, grab your skis for excellent snow cover throughout the season. 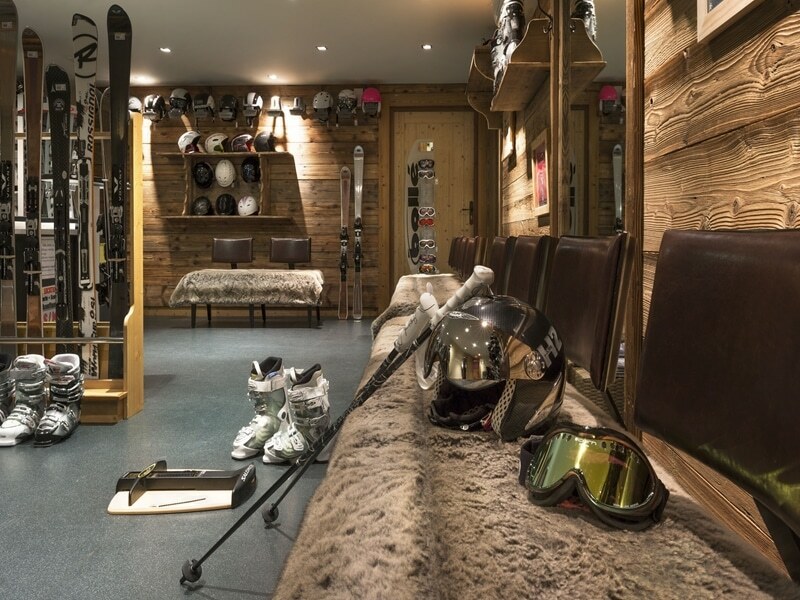 The alpine elite feels at home in these lavish surroundings; it’s worth noting the resort includes four separate villages: Le Praz 1300, Courchevel Village 1550, Moriond 1650 and the famous Courchevel 1850, the largest of the quartet. Populated by wealthy Parisians and Russians, celebrities – including A-listers like George Clooney – and royal families on skiing holidays, it’s easy to see why Courchevel 1850 is the St. Tropez of winter sports. Even our very own Wills and Kate holidayed there only last year, so you could end up sharing the slopes with the Duke and Duchess of Cambridge while taking in majestic Mont Blanc views. Home to 17 five-star hotels – not including three elusively named “Palaces” – decadent ski chalets, designer boutiques and 11 Michelin stars across seven restaurants serving gastronomic dishes, a skier’s every whim is easily accommodated for. Is Courchevel Good for Beginners? Courchevel is one of the best French alp destinations for any skiing and snowboarding beginner. If you are not sure whether the sport is something to take up long term, don’t splash out on gear because many shops in resorts offer ski rental equipment at reasonable prices. To learn to ski in this high-altitude destination, sign up for private lessons with a ski instructor or one of many schools for group sessions. As part of one of the world’s largest ski areas, Les Trois Vallees, Courchevel offers access to over 26,000 acres of skiable terrain, over 320 downhill tracks, more alpine trails than you could shake a ski pole at, heli-skiing adventures and much more. However, that isn’t enough for this ambitious resort. If after watching the first women’s parallel slalom in the history of the FIS World Cup, you’re left thinking “I could do that”, the resort is now giving everyone the chance to prove it on its new Epicéa run – a permanent competition-level stadium open to everyone. Getting up the slopes is about to get even more comfortable thanks to an ultra modern 8-seater gondola lift, which can transport 2,400 skiers an hour. If you thought ski areas couldn’t get any more scenic, think again. The new lift system adheres to a minimum visual and environmental impact policy. You can hop in the gondola to reach the top of a new 3km toboggan slope that opened in 2018. Kids of all ages will glide down to Moriond’s snow front day or night thanks to its illuminated course. As a member of the exclusive altitude ‘Club of 1800s’ Courchevel offers excellent skiing from December through to late April, in a spectacular setting. However, even the highest resorts can’t rely on Mother Nature to supply the white stuff all the time. To guarantee great coverage throughout the season, Courchevel leaves no stone unturned, by utilising the best snowmaking equipment. The modernised kit includes 115 state-of-the-art machines, meaning 75% of its “snow factory” is now “eco-friendly. If you consider the overall French Alps property market bulletproof, thanks to its stunning setting and world-class resorts, Courchevel must be atomic bomb proof, thanks to its status as the world’s most luxurious ski resort. 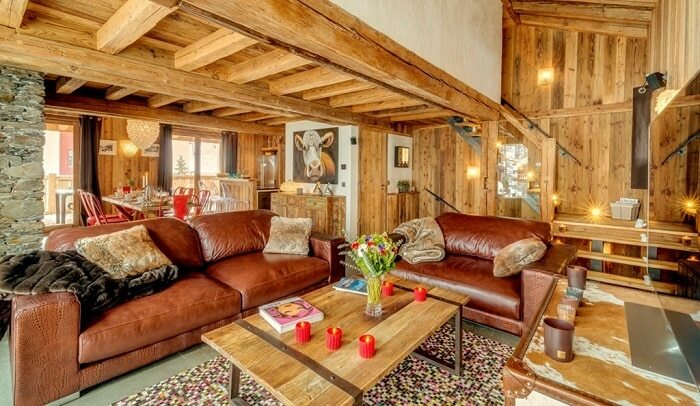 With properties boasting of wood features and a cosy chalet atmosphere. Courchevel is one of the original ski resorts amongst the French Alps, and this is reflected in local architecture themes. Oozing history and culture, stunning and sleek homes also combine the latest in modern living, making them, at the end of a long day on the slopes, a haven for family and friend gatherings. Charming yet intimate chalet-style apartments strays far beyond the realms of basic. Set amongst dramatic valley views, they are an après-ski oasis. 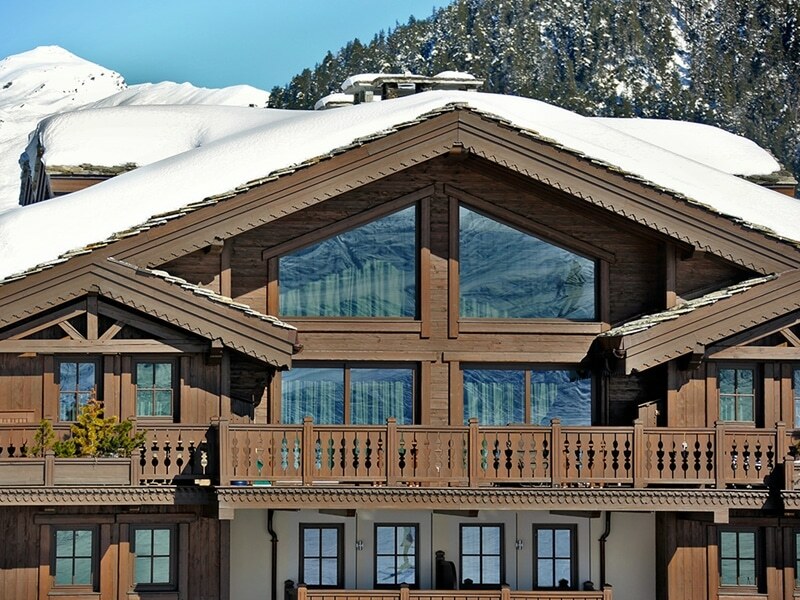 To find out more about Courchevel ski resort and buying property there, get in touch with our expert team who would be more than happy to help you explore the possibility of a mountain home.